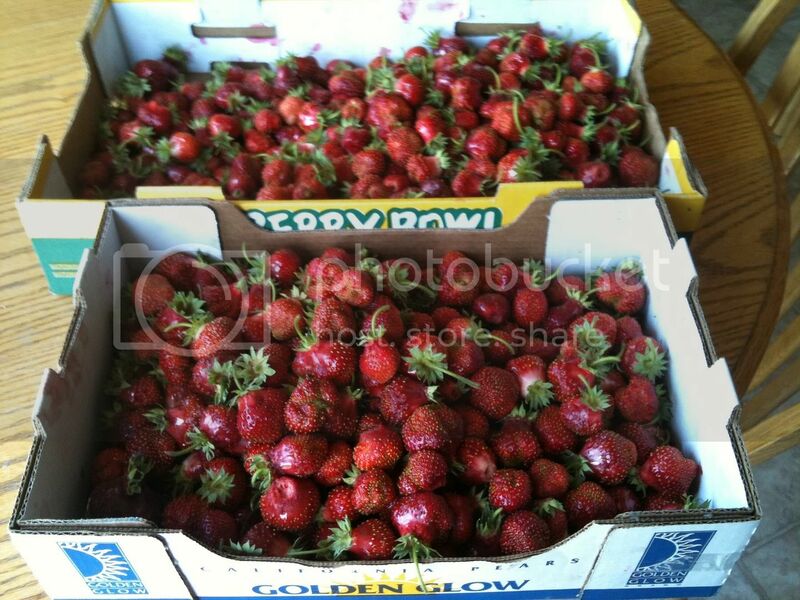 What do you do with two flats of freshly picked organic strawberries? Well, you could make some freezer jam. It is snappy and fresh and zings on your tongue. Or you could freeze a couple baking-sheets worth to use in smoothies. Or you could wash some and chunk them to put on a strawberry pie. You could also fill a bowl and send it outside with hungry boys. Who will share with their cousins. And lick the bowl clean.